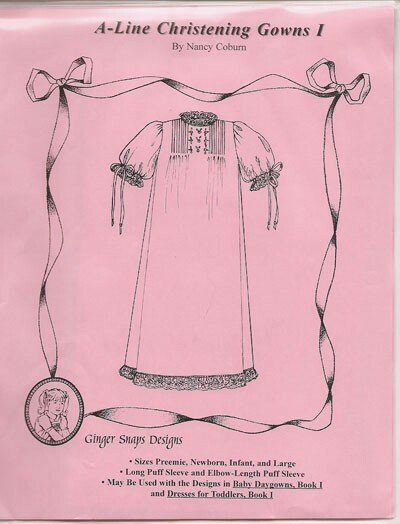 The design presented in "A-Line Christening Gowns I" is an elegant, simple design that is easy to sew. Sizes Newborn, infant & large are 36" long, while the preemie gown is 27" long. Sleeve variations include a long puff sleeve & an elbow-length puff sleeve. Fullness is added to the A-line design w/the addition of pintucks. The gown has a back button closing.